There are so many books I could include on this list; I seriously could go on and on but I'll limit myself to just the ones I really think I'll enjoy or ones that are the last book in a favorite series. 1-2. 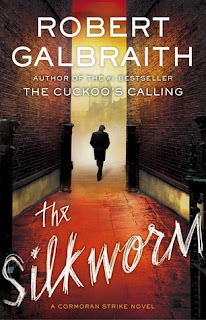 The Cuckoo's Calling and The Silkworm by Robert Galbraith (Pseudonym), J.K. Rowling - It's pretty much a given that I'll like anything written by J.K. Rowling, and it's only a matter of time before I own these. I hope sooner rather than later. 3. Let Me In by John Ajvide Lindqvist, Ebba Sergerberg (translator) - I loved both the American and the Swedish film versions, so I'm excited to read the actual book. It's one vampire tale that seems to be truly horrific like The Passage. 4. Sorrow's Knot by Erin Bow - I've been looking forward to reading this one for some time, and I'm hoping it meets my high expectations. The premise sounds so intriguing, and like nothing I've read before. 5. Bird by Bird: Some Instructions on Writing and Life by Anne Lamott - I want to start writing again sometime soon, and I think this book will be helpful. I've heard so many good things about it, and I'm hoping to read it eventually. 7. 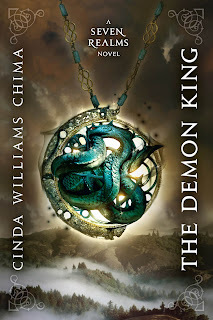 The Demon King by Cinda Williams Chima - I am always up for a good fantasy, and I've heard so many good things about this series. Yes, I'm reluctant to start yet another series, but I think this might be a new favorite. I just don't have any of the books in this series...I might borrow it from the library though to make sure I'm a fan. 8. Into the Still Blue by Veronica Rossi - I own the first two books in the Under the Never Sky series, and I just need to buy the third book to complete the series. I'm anxious to read this one, but I'm also sad to see this series come to an end. 9. The Final Descent by Rick Yancey - I'm both nervous and excited to read this final book in The Monstrumologist series, a favorite series of mine. I have all of the other books in paperback, so I'm just waiting for this one to come out in paperback, as ridiculous as it sounds. I want them all to match on my shelves. 10. Raging Star by Moira Young - This is yet another book I need to complete a series on my bookshelves. I've been putting off reading this one because Rebel Heart just didn't compare to Blood Red Road. 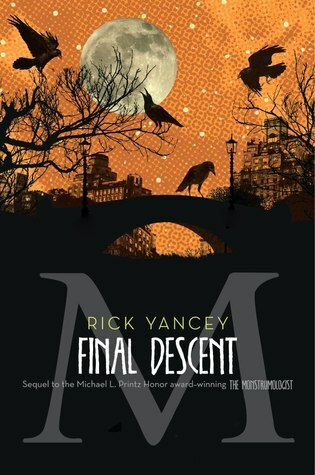 But it would bug me not having the full series on my shelves, and I hope to read this one during the fall. What about everyone else? 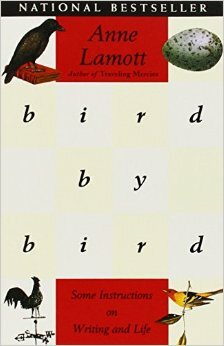 What books have you been dying to read but still don't own? And don't forget to link up to your Top Ten Tuesday in the comments! When I picked up Dairy Queen, I wasn’t expecting it to be a new favorite. 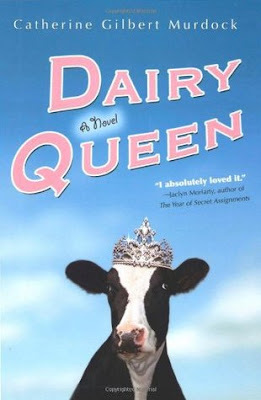 Since this book has a lot to do with football and dairy farming, subjects I have very little interest in and know absolutely nothing about, I went into Dairy Queen skeptical but also hopeful that it would take me by surprise given all of the positive feedback it received. And lo and behold, Dairy Queen ended up being a delightful read, filled with wholesome, heart-warming scenes while at the same time fraught with so much tension and emotional feels. 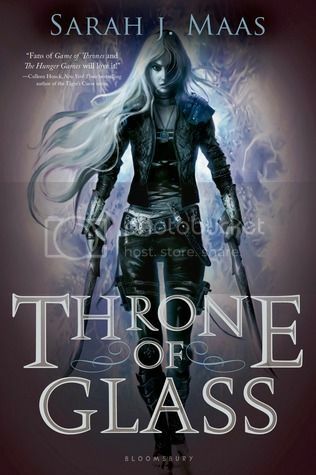 Given the hype surrounding this series, I went into Throne of Glass with high expectations. 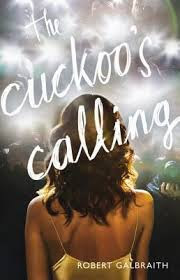 As you most likely know by now, I am a huge fan of anything fantasy, so I thought this book was a perfect Courtney read. I mean, how could it not be? There’s magic, court scandals, assassins and so many elements that should make for a wonderful fantasy! Unfortunately, it did not impress. I think if I had gone into this expecting nothing, I would have enjoyed it more, but, alas, that was not the case. Throne of Glass was a fast-paced, entertaining read, and I was never bored, but it was just way too dramatic for my tastes. This week’s Top Ten Tuesday really made me think about what books I've been avoiding, and what books I really need to get to since I already own them. I’m so indecisive when it comes to reading books because I’m a mood reader, and I always worry that it won’t be my type of book. I should just get over this and pick up books without overthinking it. I divided this week’s Top Ten list into books I don’t own but have been considering reading and books I do own but I’m unsure about reading. 1. 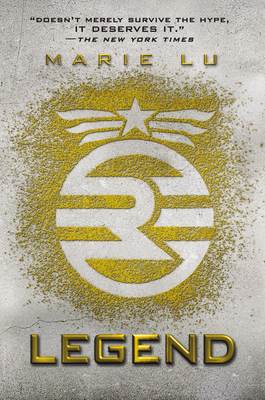 Legend by Marie Lu – This is one of those books that I’ve thought about reading, but I’m not so sure. It seems to be a very popular series, but I’m not sure if it’s for me or not. Plus, I’m kind of getting tired of reading dystopian series. 2. 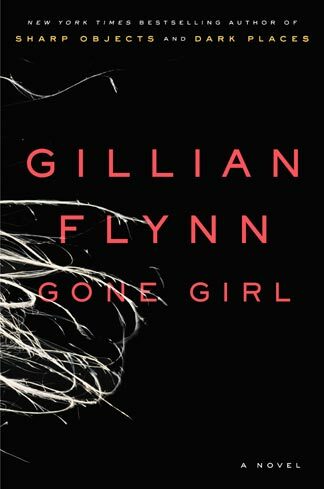 Gone Girl by Gillian Flynn – I remember liking her Dark Places, but I keep going back and forth as to whether or not I’ll read this one. I’ve read a mix of positive and negative reviews, which leaves me even more undecided. 3. 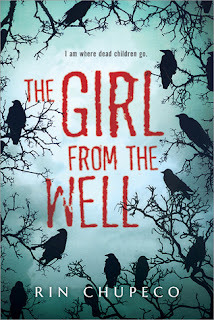 On the Fence by Kasie West – This is another book I’m on the fence with (ha!). 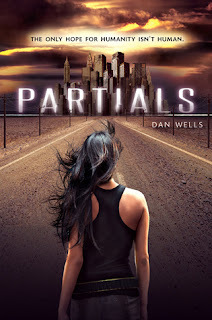 I’m not usually a big YA contemporary reader, so I have to decide if this one is for me. I’ve heard so many good things, so I’m leaning towards yes. I’m also unsure about The Distance Between Us and Pivot Point, but we’ll see. 4. 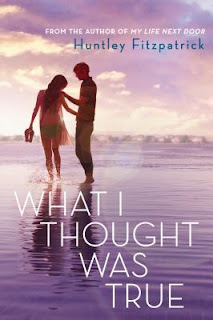 What I Thought Was True by Huntley Fitzpatrick – Once again, I’m not as into YA contemporary books as I am into fantasy, but this is another book I’ve heard so many good things about. I just can’t seem to decide whether or not I’ll read this one or her debut My Life Next Door. 5. 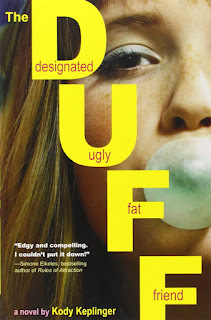 The DUFF: Designated Ugly Fat Friend by Kody Keplinger – I’ve considered reading this one before, but I’m still undecided. I haven’t read anything by this author before, and I’m not sure if I’d be a fan. I think I would like it but maybe not? Sigh. 6. 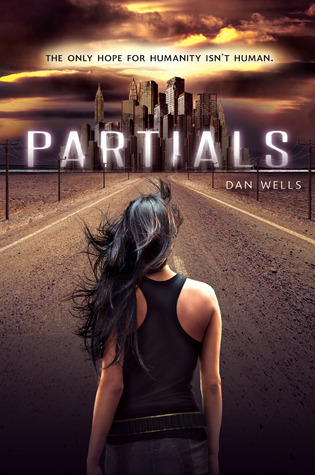 Partials by Dan Wells – I actually own this book because I just couldn’t resist buying it when the Kindle edition was on sale. Now that I’ve considered this book at length, I’m not so sure I’ll like it. But I do hope to read it in the future…especially since I already own it. 7. Masque of the Red Death by Bethany Griffin – This is another book that I own but I’m unsure about. I’ve seen some negative reviews, and I’m wondering if it’s for me. But this was another Kindle deal I just had to buy. I should avoid those more often. 8. Enclave by Ann Aguire – Here’s another series I’m indecisive about even though I own this first book. I think the main reason I’m unsure is because I don’t want to start yet another series. And also I’m not sure it’s for me. 9. 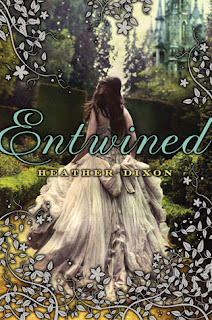 Entwined by Heather Dixon – The premise for this book sounds so amazing, and I love fairy tale retellings. So what’s the problem? I own the book, so why am I still unsure about reading it? I have no idea. Just me being my indecisive self again. 10. Sun and Moon, Ice and Snow by Jessica Day George – Another book I bought for my Kindle app on sale, and another book that I have yet to read. I’m still unsure about it, and I should just read it already. 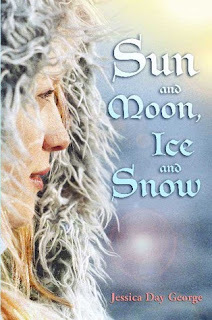 I’ll most likely love it since it’s a retelling of a Norwegian folk tale and also of one of my favorite childhood books, East o' The Sun, West o' The Moon by P.J. Lynch. So that's my top ten this week. What about you guys? If you've read these books, what did you think about them? Please motivate me to read them! 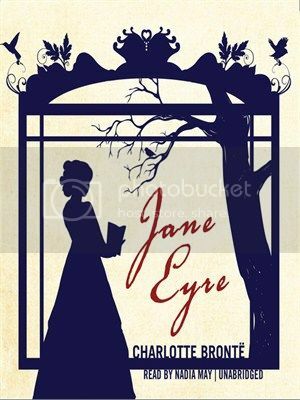 You would think that after reading or listening to Jane Eyre four, maybe five times, I would have grown tired of this story, but I don’t think that’s possible. If anything, I've grown even fonder of the story with each reading. I love revisiting Thornfield Hall, and meeting Mr. Rochester all over again, and watching as this all too familiar tale unfolds. Every time I read Jane Eyre, I feel like I've returned to a place near and dear to me, like I've ran into an old friend and we’re catching up, and it’s a lovely feeling. 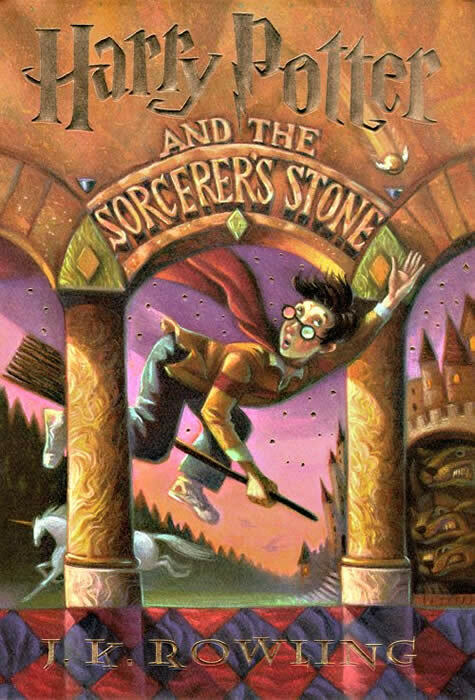 I know everything that happens, there are obviously no surprises, but I'm always deeply affected by this story nonetheless. It’s hard for me to imagine that there are people out there who have not read fantasy books. I know it’s not for everyone, but it seriously breaks my heart, given that it’s my favorite genre of fiction and my favorite genre period. So, if I were to recommend any books for newbies to fantasy, these would be my top ten. I have so many favorites, so it was difficult just picking 10, but I managed somehow. 1. The Hobbit by J.R.R. Tolkien – This one is an obvious choice, but I have to include it on this list. I’m sure I’m in the minority here when I say I’m a bigger fan of The Lord of the Rings series than The Hobbit though I love them all. But for someone who hasn’t read fantasy before, I think The Hobbit is a better place to start, since The Lord of the Rings books are very dense and, well, long. 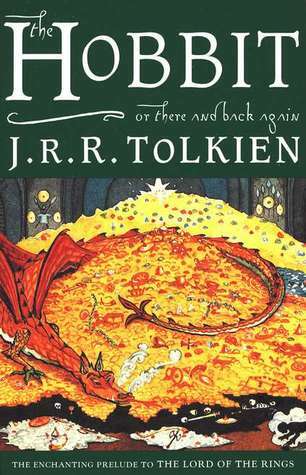 Also, The Hobbit is written with a younger audience in mind and makes for a more light-hearted read overall. 2. Harry Potter and the Sorcerer’s Stone by J.K. Rowling – This is another obvious choice, but I can’t ignore it. These books have followed me throughout my life. I grew up with them, eagerly buying each new release and devouring them immediately, and I hope to reread them soon. I think they are a great start for any new fantasy reader, as I’m sure they’ll become a new favorite for anyone. 3. Howl’s Moving Castle by Diana Wynne Jones – I loved the Miyazaki film, but the book, if possible, is so much better. 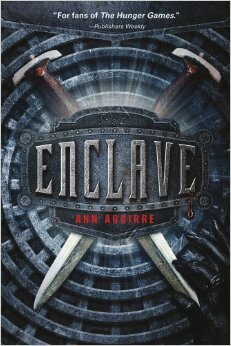 This is a must read for any lover of fantasy, and I think it’s a great first choice for newcomers to the genre. 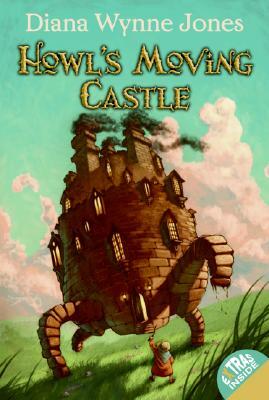 I’d also recommend reading the other books in the trilogy, Castle in the Air and House of Many Ways. All of them are fantastic! 4-6. Alanna: The First Adventure, First Test, and Wild Magic by Tamora Pierce – Yes, I’m recommending Wild Magic even though I have yet to read the Immortals series. I own all of the books but just haven’t found the time to read them. Having loved all of the Song of the Lioness and the Protector of the Small series, I am sure I’ll also love the Immortals series, so I decided to include it. I would recommend any of Pierce’s books for a fantasy newbie. 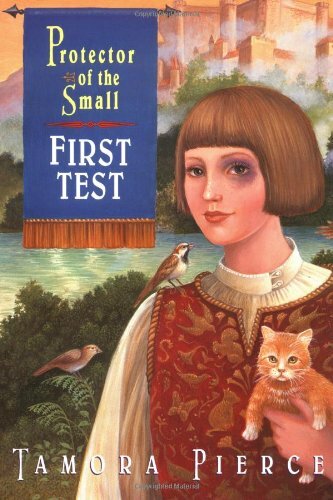 The earlier books of these series read almost like middle grade books, and then the later books grow substantially darker in tone as the protagonist matures and grows as an individual, and then there are enemies to contend with. I would also recommend Trickster’s Choice from the Daughter of the Lioness series, but I would suggest reading one of the other series first. The Daughter of the Lioness books are larger in size (though it’s a duology and not a quartet like the others), and in chronological order, they happen much later. And, honestly, I liked the other series just a little bit more though I've loved every book of hers that I've read so far. 7. Sabriel by Garth Nix – An old favorite of mine, I’d recommend Sabriel to anyone who would like to try fantasy. 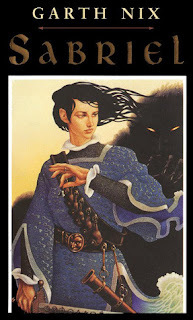 The entire Abhorsen trilogy is simply amazing, and I plan on rereading it soon. 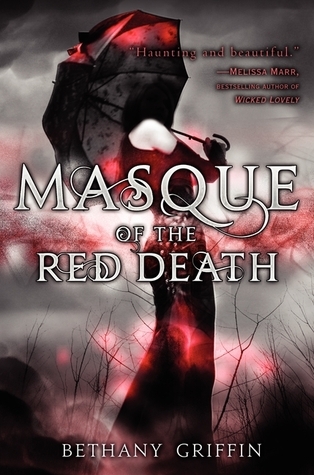 It does deal with a darker subject matter, given that there are Necromancers raising the dead, but most fantasy books do have some darker elements so I’d say it’s a good start. 8. 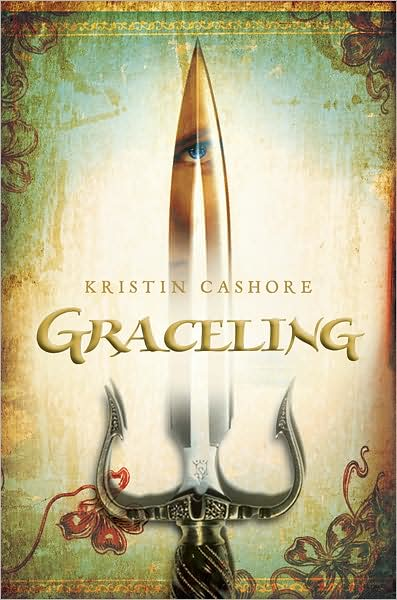 Graceling by Kristin Cashore – Yet another series I wouldn't mind rereading! I need more time. This one has adventure, assassins, magic and romance! So it has a little bit of everything! 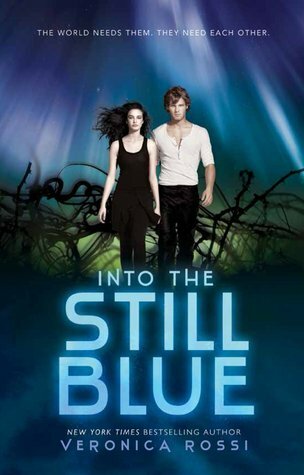 And I’d also recommend reading the companion book Fire and the sequel Bitterblue if you enjoy Graceling. My favorite of the three is Graceling, with Bitterblue coming in for a close second, and Fire last of all, but you really can’t go wrong with any of these. 9. 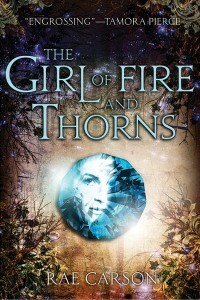 The Girl of Fire and Thorns by Rae Carson – The Girl of Fire and Thorns starts off slow, but once the pace picks up, it’s an incredible read, and the later installments only get better. I just finished the series, and I already want to reread these books. I think the Fire and Thorns series is worth checking out, especially if you’re first trying out fantasy. 10. 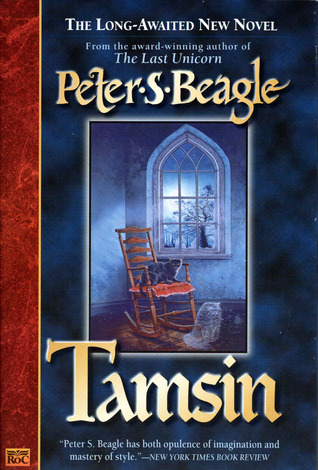 Tamsin by Peter S. Beagle – I read Tamsin years ago, YEARS, and it still haunts me to this day. This is another book I hope to reread soon, and seriously, I cannot imagine anyone disliking this book. 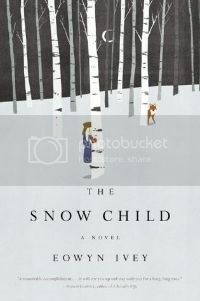 It is such an enchanting read, filled with folklore and ghosts and cats! There’s even a Pooka! So those are my recommendations for new fantasy readers, but there are many runner-ups I had to leave out. 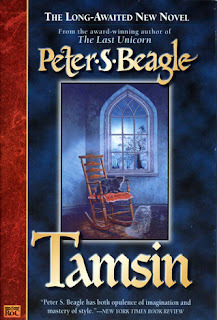 I also considered Finnikin of the Rock, but I think that’s a book to read later on, after deciding fantasy is for you. How about everyone else? What fantasy books would you recommend for someone new to the genre? Did you like any of these? 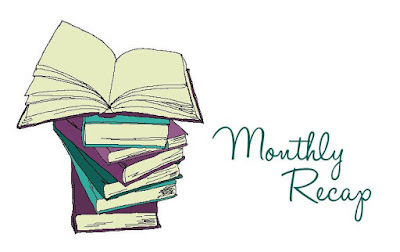 Monthly Recap is where I share everything that's happened on Courtney Reads A Lot over the past month. I read some great books over the past month. In fact, all of these books were rated 3 stars or higher! That's a good month in my book (ha! puns)! This summer is just flying by, and I cannot believe it's going to be August already. This past month, I read a decent amount of books, thanks to listening to audiobooks along with reading physical copies. I finished two debuts, Paula Stokes' The Art of Lainey and Joe Abercrombie's YA debut Half A King, and both count towards the Debut Author Challenge! As for my personal challenge, I read The Bitter Kingdom and finished the beloved Fire and Thorns series, and I'm sad to see that one come to an end. Courtney Reads A Lot has a new design which I love! I also picked out the flooring, cabinets and counter tops for my house! And (drumroll please) they broke ground! Which is all very exciting! Otherwise, July was pretty uneventful up until this week when I was hit with some bad news. My mom-mom was diagnosed with Stage 4 lung cancer out of nowhere, and it's going to be rough for awhile. She'll be going in for radiation treatment, and I hope it goes well, but I'm terrified. In the meantime, my blog posts might be a little more sporadic, as I'm having trouble focusing while reading, and I'm constantly distracted by my thoughts. In September, there's a book tour event/book signing I'm hoping to go to. In preparation, I will be reading some books this month by a couple of the authors attending. Sarah Maas, Susan Dennard, Elizabeth Norris, and Tiffany Schmidt will all be there, and I'm really looking forward to meeting all of them and getting some books signed! How is everyone's summer going? 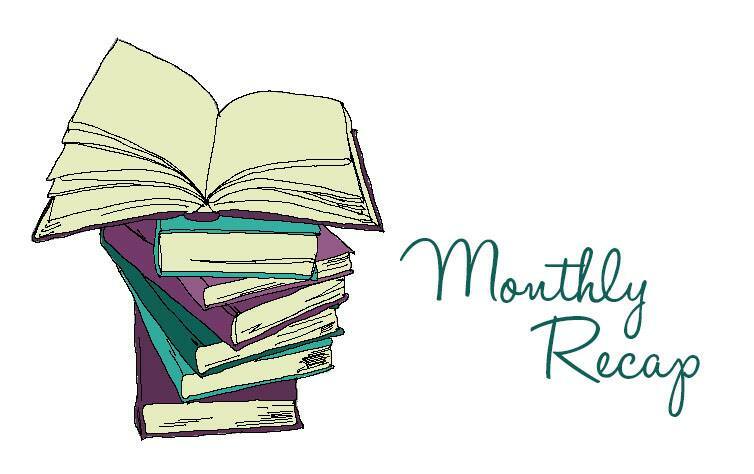 What books are you planning to read this month? 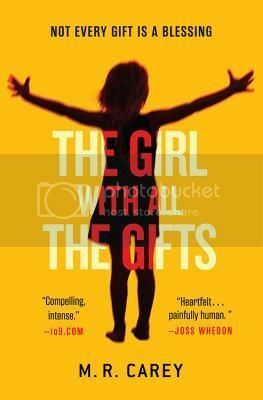 I’ve been looking forward to reading The Girl with All the Gifts for some time, knowing that I would love it. Everything about it, from the intriguing, unclear synopsis to the stunning cover, had me wanting it immediately. 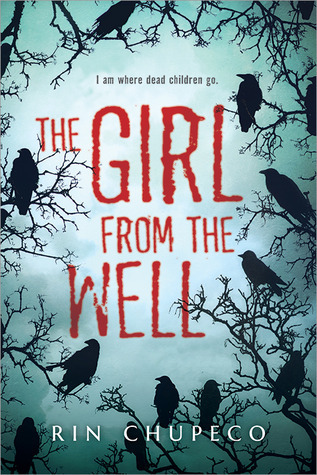 I’m not usually into zombie books, with the exception of some like This Is Not a Test, but The Girl with All the Gifts is another book that focuses more on the development of the characters than it does the hungries (what the zombies are called in this book). Yes, we’re given plenty of information about the hungries and the infliction from a scientific standpoint, which I found fascinating, and we see some hungry attacks, but there’s so much more to this book than pure, raw fear and bloody gore. It’s a harrowing tale that plucks your heartstrings, and fills you up with raw emotion. 1. J.K. Rowling – Of course, I would have her books on my shelves and plenty of them. I have the entire Harry Potter series, The Hogwarts Library box set, a second copy of The Tales of Beedle the Bard, and Casual Vacancy. I plan to eventually buy Cuckoo’s Calling and The Silkworm to add to my collection. It’s pretty much a given that I’ll love whatever she writes. 2. 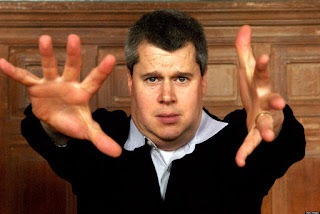 Lemony Snicket – I love his A Series of Unfortunate Events series, and I have the first 12 of them on my bookshelves, and I just need to buy The End. I plan to reread these sometime soon, since I never did finish the entire series for some reason or another. 3. Lynn Kurland – I used to have a weakness for her historical fiction, time-traveling, fantasy romance novels. I have 20 of her books which is crazy. 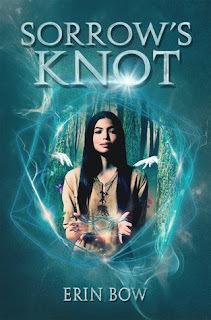 I think what drew me to her writing was that I always knew what awaited me within the pages of her books; I could count on a tasteful romance filled with adventure, bandits, and true love shared between a strong female protagonist and a medieval lord. Unlike other adult romances, her writing was never as explicit, not that I have any problem with steamier romance scenes. And the secondary characters always brought so much to the story with their banter and chivalry! All of the characters belonged to one of three family lines, and they would reappear in several novels which I loved. And the setting was pretty much always in castles in England or Scotland! How could I not read these? 4. 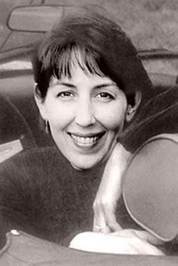 Cate Tiernan – In high school, the Sweep series had to be one of my top five series, and I own every single book in this series. 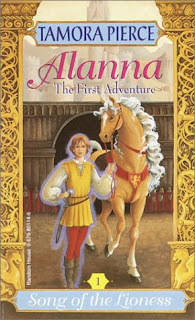 I was obsessed with this series, and after finishing one of the books, I would immediately go to the bookstore to buy the next one. Morgan was a very realistic protagonist. While I couldn’t relate to her growing powers as a witch, I could understand her insecurities, and the romance in this one is just sooooo good. I need to reread these soon. 5. 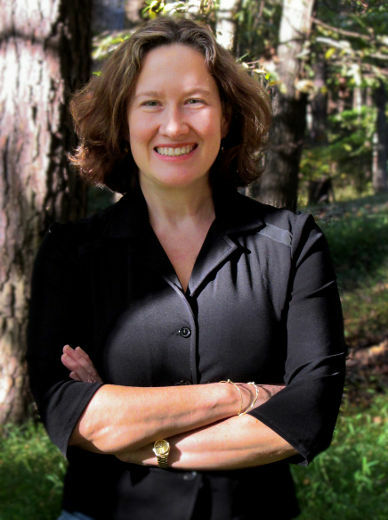 Meg Cabot – I cannot even begin to express my love for her books. I read so many of them during high school, and I think they helped me get through all of the teen-angst and insecurities. I loved The Princess Diaries, the All-American Girl and the 1-800-Where-R-U (now called Vanished) series. But my favorite is still The Mediator series, mainly because of the love interest Jesse. I reread this series so many times, and I will never give these books away. 6. Jodi Picoult – After I read My Sister’s Keeper, I kind of joined in on the whole Jodi Picoult craze. 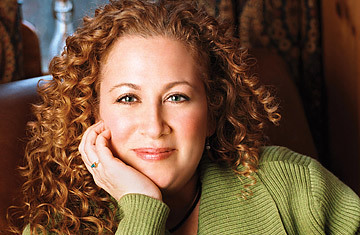 I bought several of her books, but when I think about it, I’ve only read maybe four of them. Every once and awhile, I get the urge to read another, so I’ve been slowly making my way through them. I’ll admit that none of them really stand out as unique to me. But they always deal with some controversial case, and I find the unraveling of the story entertaining, making it hard to put her books down. 7. 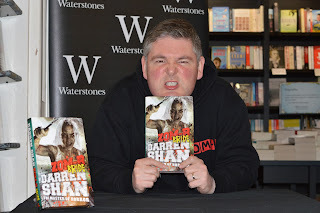 Darren Shan – This is another series I never finished, but I was really enjoying. I'm somehow missing #5, Trials of Death. I think I lent it out, but it was never returned. I tried out The Demonata series as well, but I wasn't as impressed. 9. 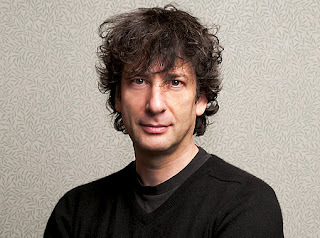 Neil Gaiman – I didn't realize how many Gaiman books I had until just now. I love The Sandman comic series, and his children's books and short stories are simply amazing. 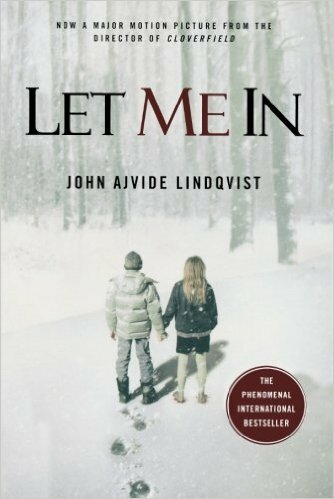 I don't always like his books, but I do love their darker tones and how creepy they can get. 10. 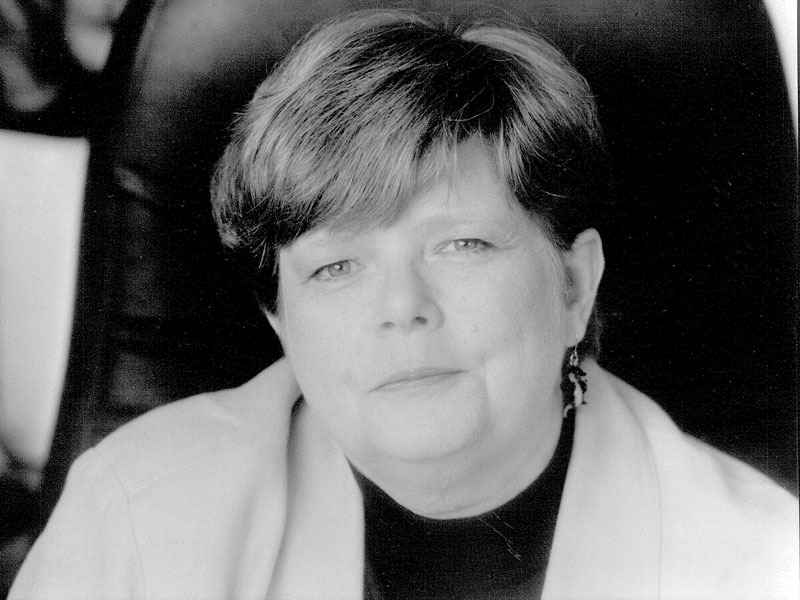 Tamora Pierce – I count Pierce among my favorite authors, and I would gladly revisit her books at any time. 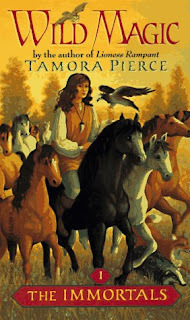 I have almost all of her books that take place in the Tortall universe, such as The Song of the Lioness, the Protector of the Small, The Immortals, and the Daughter of the Lioness series. 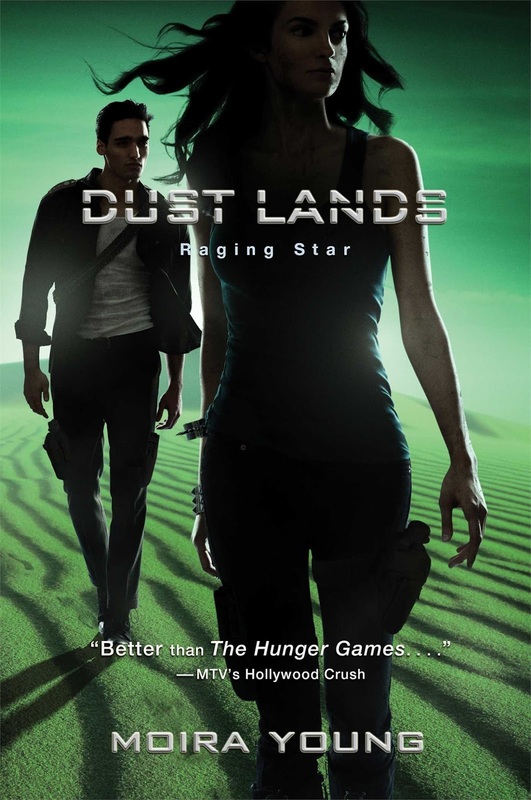 The only series I’m missing from this universe is the Beka Cooper series, but I’ve heard it’s not as good as the others so I may not purchase it or even read it. I also have The Will of the Empress that I picked up randomly, but I have yet to read the Circle of Magic series, but I heard this is a standalone? I have some new favorite authors that I’ve discovered recently, but many of these are old favorites I can count on for some wonderful rereads. So what about everyone else? 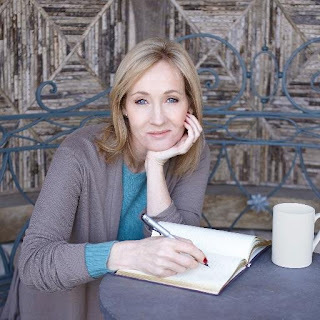 What authors do you own the most books from? Let me know and don’t forget to link up to your Top Ten Tuesday in the comments! 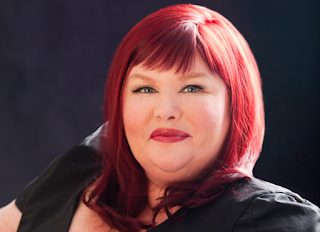 Welcome to my blog, Courtney Reads A Lot! Here, you will find all sorts of bookish posts, including memes I participate in, young adult and adult book reviews, and recommendations. I'd love to chat books with you and hear your thoughts! If you'd like to be book buddies, feel free to follow me on Goodreads, Google+, Facebook, Twitter, Instagram or Pinterest! 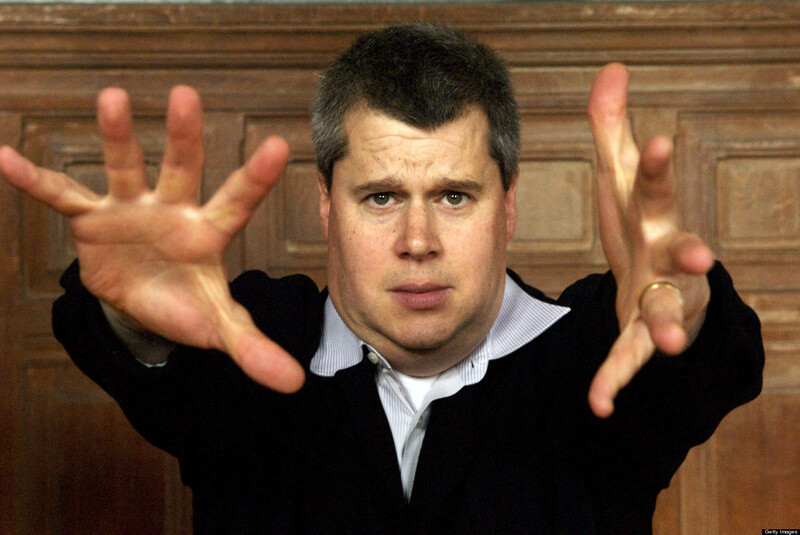 Or shoot me an email if you'd like to talk books! ***** 5 stars - This book was fantastic! I can't think of a single complaint, and I would recommend it to anyone, even random passersby. 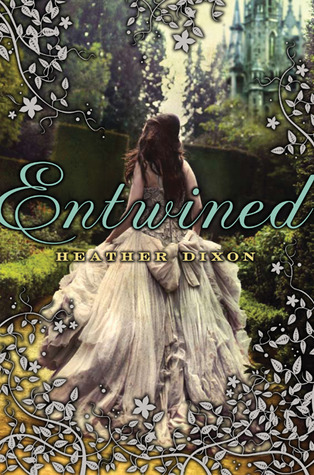 **** 4 stars - I loved this book! I might have a couple of complaints, but it was still well worth my time. *** 3 stars - I liked it, but I didn't love it. It's lacking that certain oomph I'm looking for. 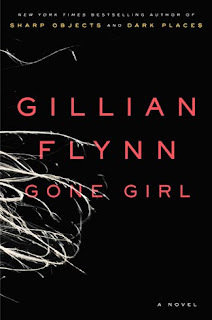 ** 2 stars - It was an ok read, but nothing to write home about. This book may have had some potential, but there were many issues keeping me from truly enjoying it. *1 star - This book was not my cup of tea at all. It's a wonder I even finished it. I think we need to go our separate ways.